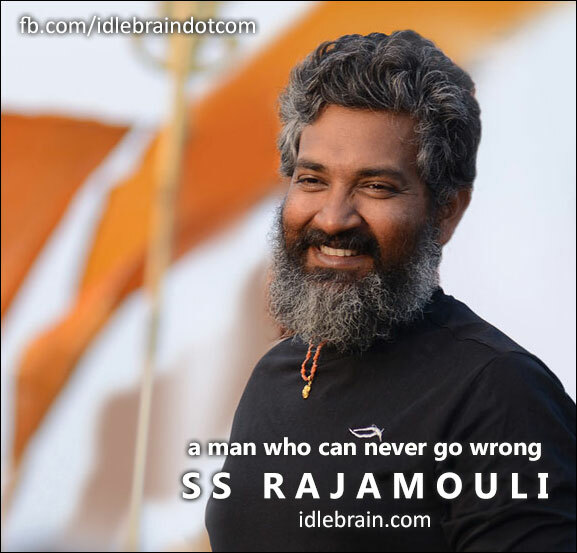 Rajamouli - a man who can never go wrong! I had been reviewing films since 1999. I know how smart the audiences have become over a period of time. During one of the interviews, Sekhar Kammula has told me that audiences of this era have become so impatient that watching a film is like ordering food in a fastfood center. They want instant gratification. Their intelligence levels have grown beyond that of filmmakers. They started questioning screenplay and ridiculing director. Now, we have Hollywood films and world cinema that are telecasted with subtitles in TV channels. Audiences have become more knowledgeable than some of the directors. If you looks at films of Balachandar or K Viswanath, you often wonder why those films have become such humongous hits despite having an unconventional storylines. I personally feel that audiences were open-minded during that time and respected directors. They followed the story and opined that they were shown what director has envisioned for them. They didn’t judge director. They went with the flow and appreciated what director has for them. In the recent times, Rajamouli is one (or the only one) such director who had amazing transformation as a director. All his films till Magadheera were more like commercial films. Magadheera has set the ball rolling for him. You expect any other director to make Baahubali immediately after Magadheera. But, Rajamouli didn’t up the ante, but prefered to do a story-oriented film Maryada Ramanna - with Sunil as hero. Then he did something unthinkable. He made Eega. The success of Eega is the one that earned him humongous respect among the movie lovers and critics nationwide. Rajamouli has chosen to make Baahubali after doing two movies after Magadheera. He has multiplied his brand value and respect with Maryada Ramanna and Eega in between. I am happy to say that audiences have such an open-mind for Rajamouli’s work now that whatever he does will be accepted with open mind and open arms as they started believing that Rajamouli can do no wrong. Rajamouli has a great vision and is non-speculative. It reminds me of Paulo Coelho quote from The Alchemist - “And, when you want something, all the universe conspires in helping you to achieve it.” In Telugu version of Baahubali, Rajamouli will have blind belief and faith from audiences that whatever he does is the right thing to do. And hope that Baahubali will set a new benchmark in making, in storytelling and in box-office collections!